Hello! 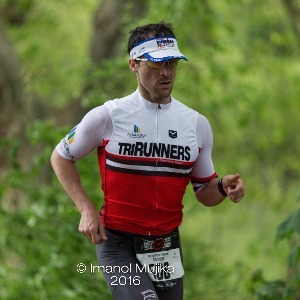 I'm Mikel Echezarreta, Computers Engineer, Physical Activity Expert & National Certified Triathlon Trainer. I have created my own brand MAKIM 'training your life' in 2013 offering services for personal training support specialized on Endurance Sports, Triathlon, Swimming Performance & Sports Nutrition. I also work on Lactatus.com research project and as a trainer of a Triathlon school for kids in my local town. Im a Computers Engineer by Deusto University, Physical Activity Expert by the Miguel de Cervantes European University & National Certified Triathlon Trainer by Spanish Triathlon Federation. I have created my own brand MAKIM 'training your life' in 2013 offering services for personal training support specialized on Endurance, Triathlon, Swimming Performance & Sports Nutrition. I also work on Lactatus.com research project that and as a trainer of a Triathlon school for kids in my local town. No requirements, I accept people wich love sports and want to improve their performance. Success. Coach Mikel Echezarreta Gonzalez has been notified of your message.